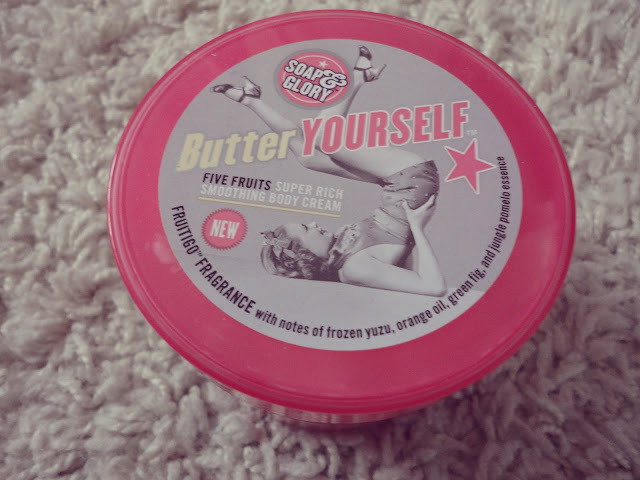 Another of Soap & Glory's body butter offerings, I got "Butter Yourself" after a) it was free if you spent £10 or more on S&G! and b) I've finally got through all my body creams/lotions/butters/moisturisers and needed a new one! Butter Yourself is a cream containing scents of orange, shea butter and peppermint, which give it a very fruity scent. It's not my favourite scent from S&G if I'm honest - Sugar Crush appeals to me way more - but it's not offputting. Moisturising wise, it does just as well as all the other S&G body butters, leaving my skin hydrated for hours and it still feels moisturised when I wake up the next morning. I would say the scent wears off fairly quickly but that doesn't really bother me as I use the Sugar Crush scrub in the morning anyway. What I really like about this product is the amount you get for your money. For £10.50 (or free in my case! ), you get 300ml of product in a huge tub. I've been using it for at least 2 weeks now every night and I'm barely half way through! 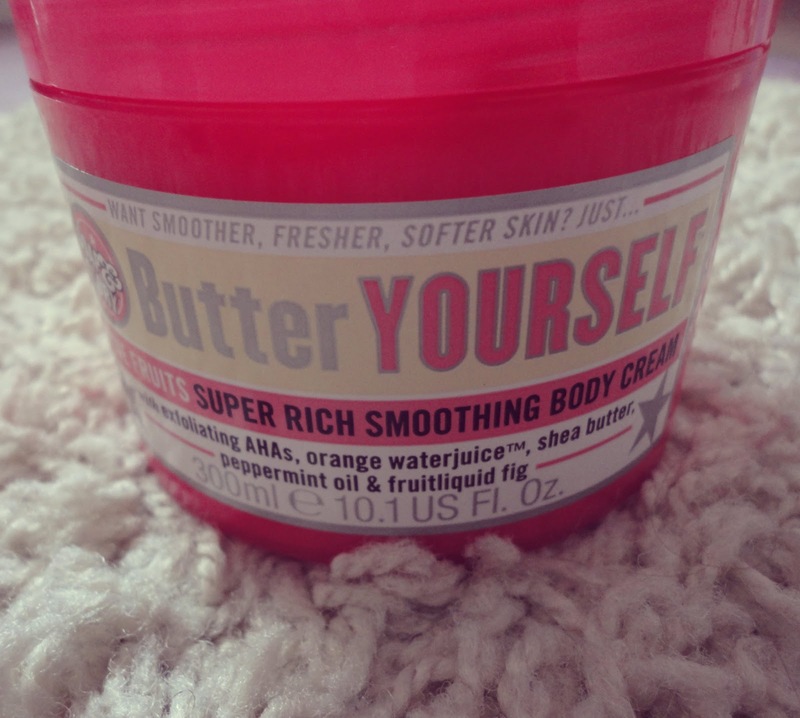 I probably won't be repurchasing this, simply because I prefer other scents from Soap & Glory. 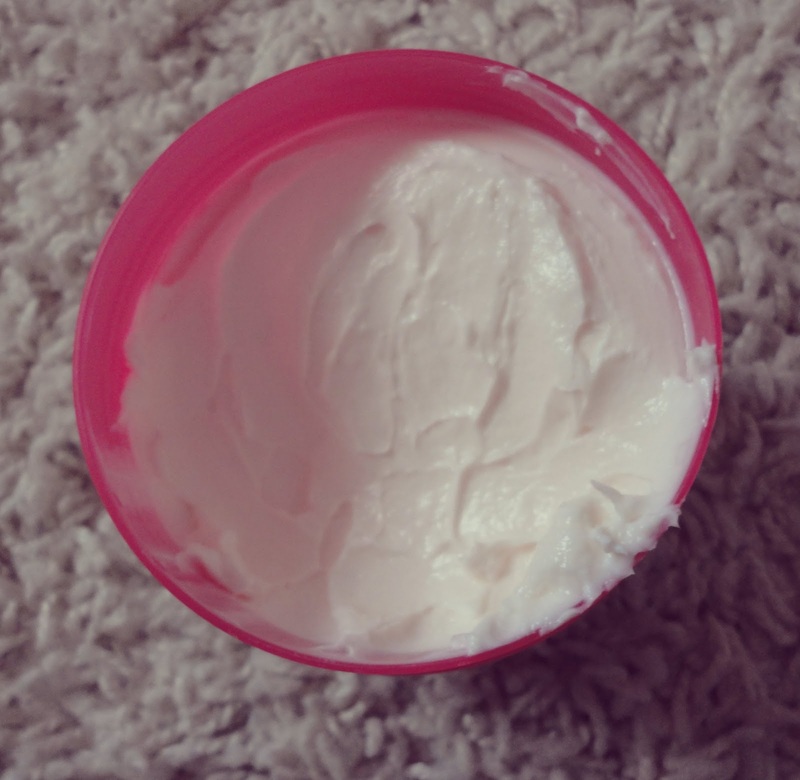 I do love the quality of it and how well it moisturises though so if you like the scent, it could get 10/10 from you! ps. I had my Spanish exam this morning which went really well! So I have 5 exams left now until my summer starts! Great review. I love using S&G products, moisturising wise I use The Righteous Butter.